Brand USA, the destination-marketing organization for the United States has unveiled a new consumer campaign and website, http://www.gousa.in, as the organization works to increase inbound tourism to the United States. Through this new interactive campaign, Brand USA illustrates the diversity of the United States and invites travelers to share their own unique experiences. The consumer campaign spans a variety of advertising and media platforms, including online videos, out-of-home signage, high impact online display ads, and social media posts that will drive awareness of the new campaign and inspire visitation to the USA. The campaign launches with an innovative social-first approach, concentrating on shareable and relatable imagery and video content whose first person viewpoint will draw consumers into the frame and make them feel like they could have captured the shots themselves. Music will also play a significant role in the new campaign, with music tracks tailored to individual personas and reflective of sounds distinct to the USA. In an era of likes, tweets and #latergrams, social networks are one of the most influential forces driving travel planning today. The campaign, which will run across Facebook, Instagram, and various digital networks, will help potential travelers discover the variety of experiences, hidden gems, and off-the-beaten-path destinations available throughout the USA. The new [www.gousa.in] website features vibrant videos, loads of content, and cutting-edge mobile functionality. Travelers can swipe through to explore itineraries that start in gateway cities, such as New York City, New York or San Francisco, California and end up to five hours away. These expanded itineraries help travelers understand how many unique destinations and attractions they can experience in a single trip to the United States. Brand USA produced 15 versions of the new website in eight different languages, with each international market having a customized version in the home country language. The site encourages users to plan your USA trip through a personalized online experience, engaging with others, and receiving and sharing content across social media that is localized uniquely to them. Its gaming section, “Choose Your Adventure” tailor-makes the visitor experience by recognizing search patterns of the user to provide intuitive trip recommendations. Additionally, Brand USA worked with its destination partners to ensure the website had extensive local content for visitors to have a one-stop location to explore their passions, desires, and their spontaneous side instead of a checklist. The USA means so many different things to different people in different places, and this campaign puts the unifying experience of travel at the heart of it, allowing travelers to see what choosing their own US adventure may look like. Prior to creating the campaign, Brand USA conducted research into India’s key motivations when choosing their travel destinations. They found that Indian travelers are predominantly looking for excitement meaning they are interested in fun, indulgence, and to escape the routine. The consumer campaign is meant to welcome prospective travelers to come explore the endless opportunities in the USA, and show how far they can go – geographically, spiritually, and emotionally. The new consumer campaign will be supplemented by a number of marketing platforms and programs that each year, Brand USA deploys to increase international visitation to the United States and drive tourism dollars to communities in all 50 States, the District of Columbia, and the five territories. According to a study released by Oxford Economics, over the past three years, Brand USA’s marketing efforts have generated more than 3 million incremental international visitors to the United States, benefiting the US economy with nearly $21 billion in total economic impact, which has supported, on average, 50,000 incremental jobs a year. As the number one services export for the United States, tourism to the United States currently supports 1.8 million American jobs (directly and indirectly) and benefits virtually every sector of the US economy. 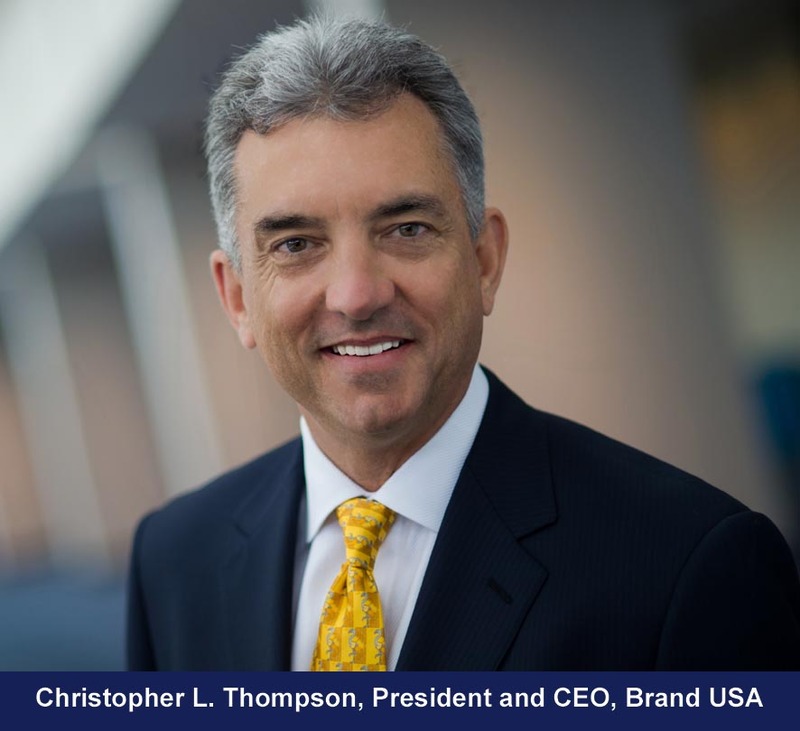 Since 2011, Brand USA has significantly increased the effectiveness of its consumer campaigns that helped drive increase in international traveler intent to visit the USA from an average of 52 per cent in FY2013 to 60 per cent from FY2014 through FY2016.